Sen. Claire McCaskill, D-Mo., shot questions at Army Secretary Mark Esper over the misuse of funds in an Afghanistan contract called Legacy East on Thursday during an Senate Armed Services committee hearing. Senior Army leaders were questioned Thursday over $50 million in questionable costs billed to taxpayers — including seven luxury cars and roughly $400,000 salaries for significant others to serve as assistants — as part of a federal contract meant to train Afghan security forces. During a Senate Armed Services Committee hearing, Sen. Claire McCaskill, D-Mo., shot questions at Army Secretary Mark Esper about the misuse of funds. “Please tell me that a senator 20 years from now is not going to be sitting here and going, ‘How in the world are taxpayers paying for Alfa Romeos and Bentleys?’” McCaskill said. From 2010 to 2013, Army Contracting Command awarded four contracts, worth $536 million, to develop the Afghan National Security and Defense Forces’ intelligence capabilities, according to the Special Inspector General for Afghanistan Reconstruction. 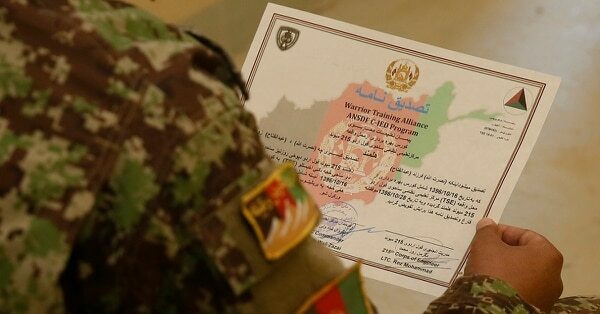 The contracts — Legacy Afghanistan, Legacy Kabul, Legacy South, and Legacy East — became known as the Legacy Afghanistan R&D program. An audit by the Defense Contract Audit Agency, however, revealed that one of the subcontractors for Legacy East, New Century Consulting Limited, billed over $50 million in questionable costs to the Army. In an August letter to Defense Secretary Jim Mattis, McCaskill demanded answers on the Legacy East contract. The audit found taxpayers wound up paying for seven luxury cars, including Porsches, Alfa Romeos, a Bentley, an Aston Martin, and a Land Rover. Additionally, the significant others of the CEO and CFO were kept on the payroll as “executive assistants,” according to McCaskill’s office. In 2012, the average salary of these assistants reached roughly $420,000 each, despite the fact that they worked from home and never traveled to customer locations, with no documentation to prove they performed any work, McCaskill’s office said. The agency conducted its review in part because McCaskill had previously demanded answers after an earlier audit of the contract by the Special Inspector General for Afghanistan Reconstruction revealed the outstanding issues. That audit was non-public, but information was provided to senators. At the hearing, McCaskill explained that the audit agency is worried that disclosing audits will discourage contract bids in the future from companies that don’t want their financial information to become public. The audit also found the company spent over $1,500 on alcohol and $42,000 in cash on automatic weapons, despite regulations or contract provisions prohibiting such expenditures, according to McCaskill’s office. Other questionable expenses included severance payments, rent, unnecessary licensing fees, extensive austerity pay, and expenses for air travel for personal reasons. McCaskill’s office said they’ve been conducting a investigation into the Legacy East contract for the past year. During the hearing, she asked for a list of current contracts and subcontracts for the contractor under investigation, as well as the contractors’ performance reports. “We’ll get you the information. … We owe you answers,” Army Chief of Staff Gen. Mark Milley said.